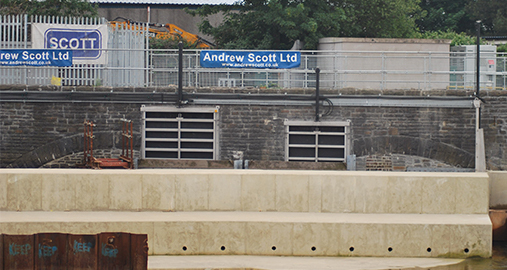 Over the past few years, the current weir penstock at Stamford Bridge was highlighted by the Environment Agency as in need of replacement, and in 2016, ACE were employed by AMCO construction provide a suitable solution. The penstock was installed in a residential area, so to improve aesthetic appearance, as well as vastly improve the operation of the sluice, an ACE KKS Tilting Weir was chosen. The tilting weir is driven from one side, meaning that the structure didn’t need any form of access gantry across the river, with the build-height being half that of the original sluice. 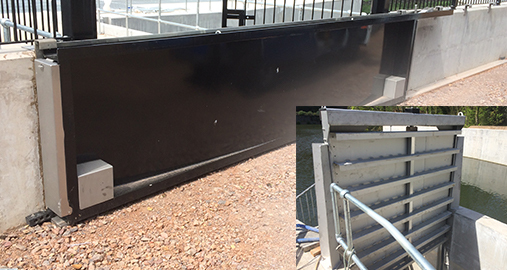 To allow for future maintenance, ACE also provided a set of bespoke stoplog frames, specially designed to interface with a curved and sloping wall (to vastly reduce concrete works in the watercourse). The Stamford Bridge project continued a long-term working relationship with AMCO construction, with ACE having delivered multiple projects over the last 10 years, throughout the UK. 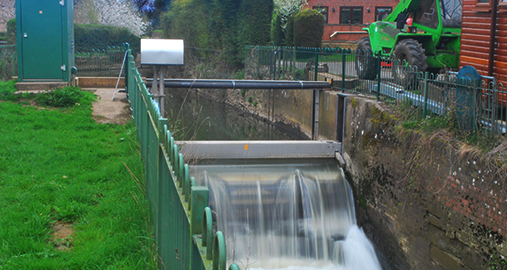 Other projects with AMCO include a sliding flood door at Jubilee Bridge, tilting weir and flapvalve for Seasalter Pumping Station, large penstocks and flapvalves at Cockerbridge, a special penstock/screen at Primrose Hill and an adjustable stoplog, primarily for Orton Sluice. For more information on the above projects, please contact ACE. ACE would like to thank all involved with the project for their assistance.